What helps when faced with questions such as these is a sufficiently detailed record of what happened when, and that’s where application logging can help. Ideally, logging will be built into the application as it’s developed rather than waiting until questions come up and then trying to retrofit it later (and possibly having to justify them in a change control process). Effective logging from your application can highlight false assumptions, programming errors and performance issues. Every section of this job takes seconds, except for “Getting monthly sales by area”. If you’re looking to tune up your sales reports, that would be the area to focus on. The good news is logging like this needn’t be hard to do. Developers often create what is intended to be temporary logfiles – for example, /tmp/myapplication.log – in order to see what’s going on. Firstly – and for good reason – such temporary logging often becomes more permanent than intended. Secondly, the log files fill up disk space, and will continue to do so unless manual action is taken to remove them or reduce their size. The log files will be automatically “rotated”. That is, periodically the log file will be closed, a new one started, and the old one optionally compressed. After a predetermined time, the oldest log files will be removed. This is fully automatic: no need to manually remove old or large log files. 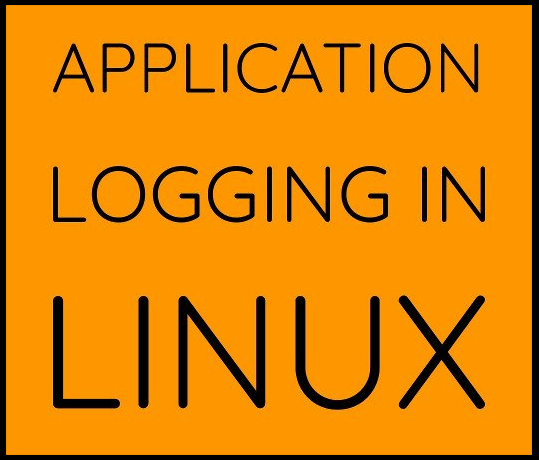 The way that log entries are created will depend upon the language your application is written in. Let’s keep it very simple, and show how this can be done from the shell. /usr/bin/logger "Hello from the logger"
/usr/bin/logger -i -t myapplication "Hello from the logger"
/bin/bash # Define a symbol for logging LOG="/usr/bin/logger -i -t MyApplication --" $LOG "Starting" for site in /srv/www/*; do $LOG "Processing site $site" ... done $LOG "Finished"
LOG="/usr/bin/logger -i -t MyApplication --"
The trailing double minus at the end of line 4 marks the end of the options for logger. That means that if the message starts with a minus (hyphen), logger won’t try to interpret it as an option. It’s possible to specify log levels and other information too; the man page logger(1) has all the details. That said, the above is very simple to implement and will suffice in the vast majority of cases. Just about every common programming language has the ability to make entries in the system logs. As with the logger example above, there are a great many options, but I believe that something simple that is actually implemented is way more useful than something complex that will be ready “soon”. "Print msg if priority is <= verbosity"
As a matter of routine, we put logging into just about every script we write. 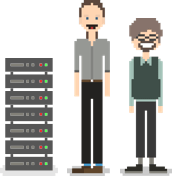 99.9% of the time we never look at the logging generated, but it’s there if needed – and we don’t have to worry about cleaning up old log files because the standard system logrotate facility does that for us.